While we’ve already seen the G20-generation BMW 3 Series in person, having seen it at the Paris Motor Show, and then more recently at its press drive in Portugal, this is the first time the BMW M340i is being seen in public. BMW’s first-ever M Performance 3 Series made its official debut today at the 2018 LA Auto Show and it looks, well, interesting. It actually looks much better in person than it does in pictures. While pictures made it seem a bit too fussy at the front, our eyes bled a lot less from looking at its front end in person. Its black paint likely helped as well. Still, it’s a more handsome, less fussy looking car in the flesh. Though, we’re still not sold on that grille design. 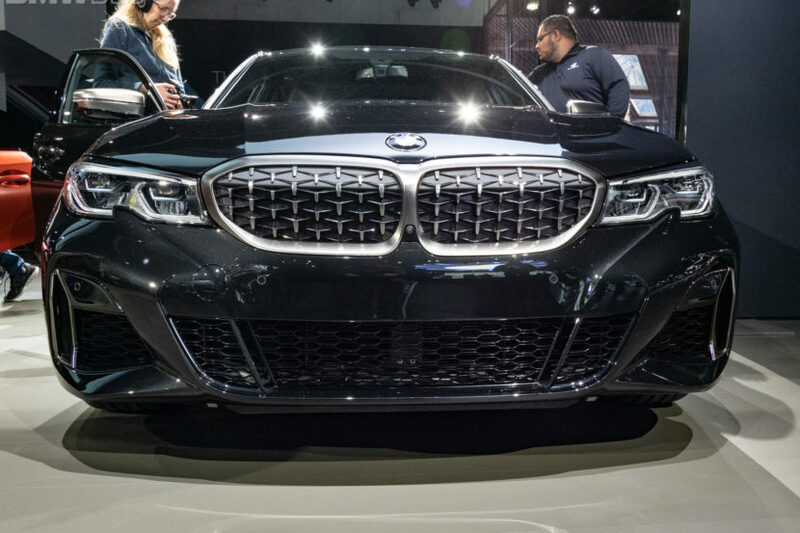 We hope BMW will sell traditional Kidney Grilles, with normal vertical slats, as an option or at last an M Performance Parts option. If it doesn’t, we can see tuners offering them. Can’t fault the interior even a little bit, though. 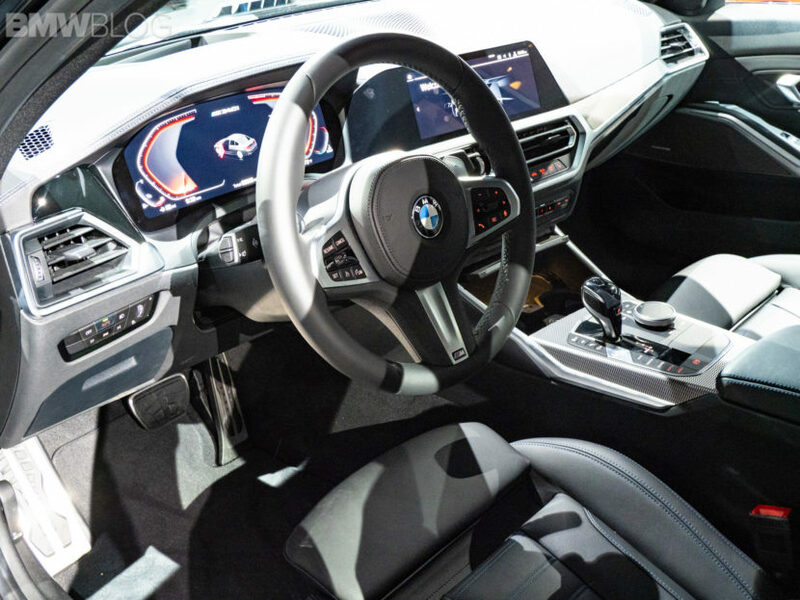 The new BMW M340i boasts a very nice cabin, one with rich materials, a smart design, ergonomic controls and class-leading technology. It used to be the Audi A4/S4 with the best tech in the class but it’s not the 3 Series that holds that crown. Under the hood is a 3.0 liter turbocharged I6 engine that makes 382 hp (North America, it’s a bit less powerful in Europe), making it the most powerful and fastest non-M 3 Series ever. The BMW M340i gets an eight-speed automatic gearbox as its only option and can be had in either rear-wheel drive or xDrive all-wheel drive. According to BMW, 0-60 mph comes in the low four-second range. But knowing BMW’s penchant for underrating its power and performance figures, we could see this clocking it at 4.0 seconds flat. Either way, the BMW M340i is a fast, exciting and handsome enough car. We can’t wait to get our paws on it on the road. Maybe that grille design will grow on us.